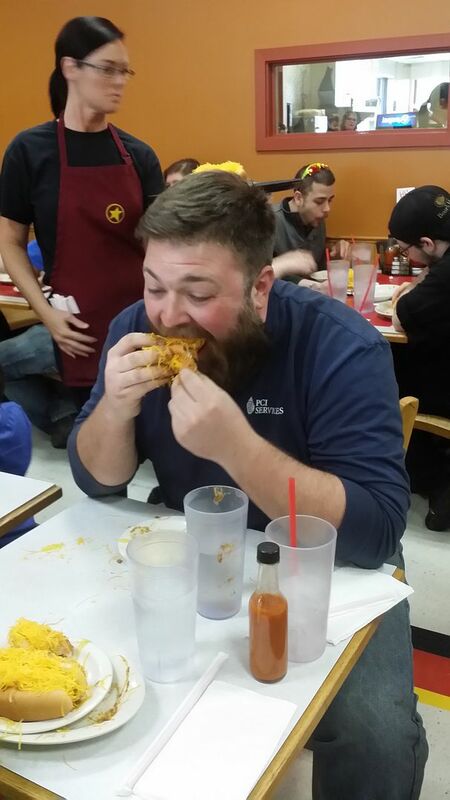 Nick Schreck, of Edgewood, out-ate more than 20 participants in the Bellevue Gold Star Coney Eating Contest on Thursday. 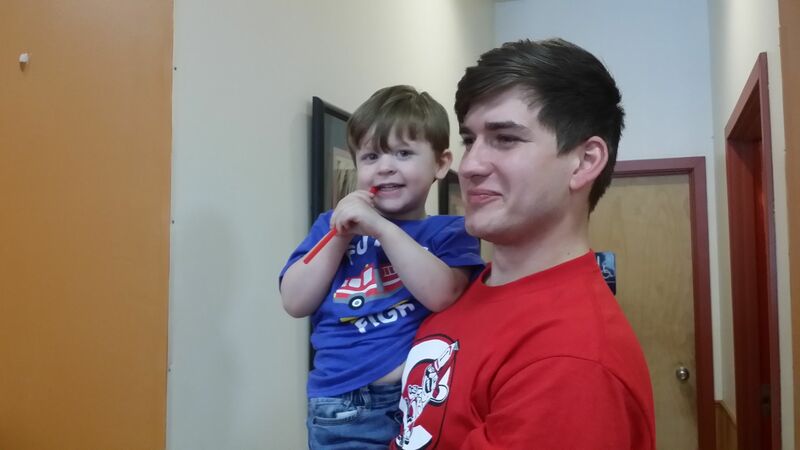 “I saw the a post on Facebook about the contest and thought I’d give it a try,” Schreck said. Schreck, who has previously participated in weenie eating contests, now holds this competition’s record. “In six years, this is the most anyone has eaten,” said Geanetta Steely, who hosts the event to raise funds for the Lupus Foundation. Lupus a long-term autoimmune disease in which the body's immune system becomes hyperactive and attacks normal, healthy tissue. Symptoms include inflammation, swelling, and damage to the joints, skin, kidneys, blood, heart, and lungs. Steely’s daughter, Kim Balser, was diagnosed with Lupus twenty years ago. Steely said she’s had seven strokes and three open heart surgeries. “We hope with this contest to support the Lupus Foundation so that we can have a cure or find better ways to treat Lupus,” Steely said. Cost to enter the contest was $10, with all proceeds going toward funds also raised through Steely’s participation in the Lupus Walk to be held April 27, at Winton Woods. Bellevue’s fire and police departments showed up to participate, as well as residents from Bellevue and all over Northern Kentucky. Caudill tied second with two others for devouring eight conies. 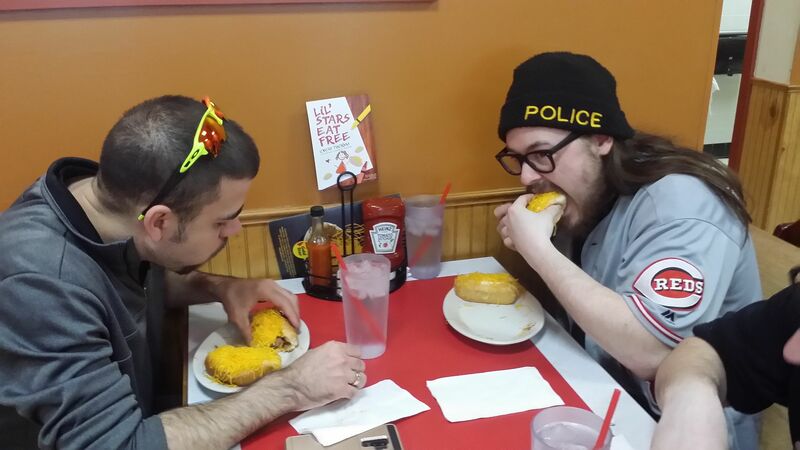 With focus, an empty stomach, and swift swallowing, Nick Schrek staked claim on the Coney Eating Contest trophy and bragging rights. 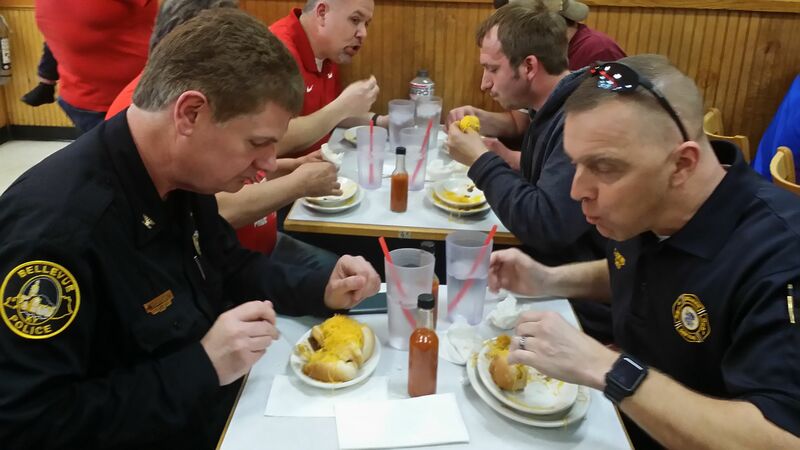 Bellevue Police Chief Lt. Col. Lee Estepp and Bellevue Fire Chief Chris Adkins face off in a coney eating contest. 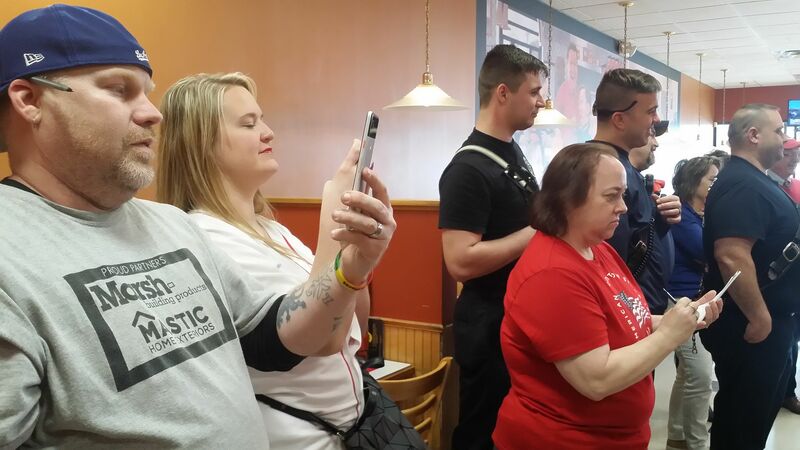 Spectators Charlie Ackerson and Jeni Caudill cheer on the coney eaters, filming each bite on their phones. 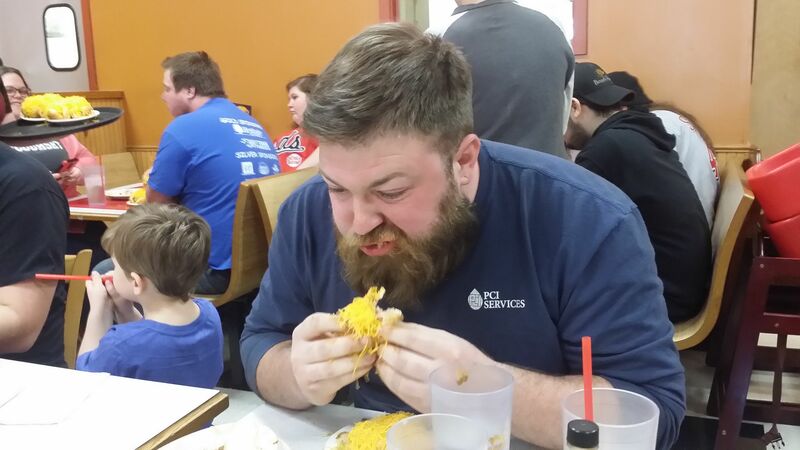 Nick Schrek quickly chews another bite of a coney. 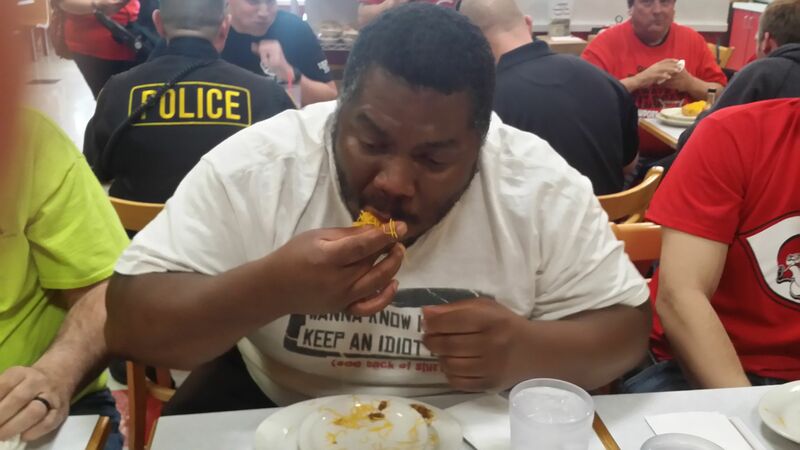 Charles Thompson shoves a coney in his mouth. 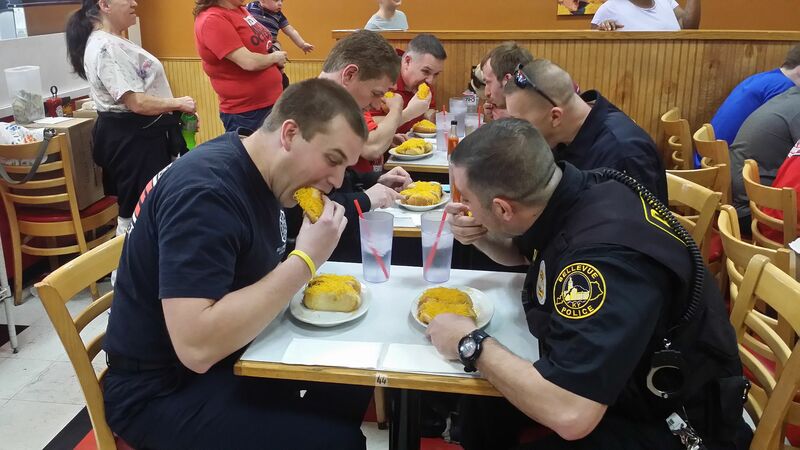 Bellevue Fireman Tyler Watson and Bellevue Police Officer Trevor Bonar tear into their coneys. 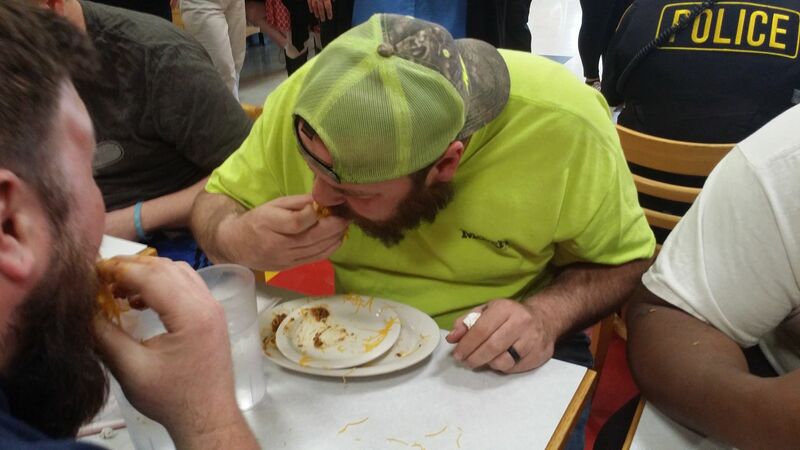 James Poynter paces himself in the coney eating contest.